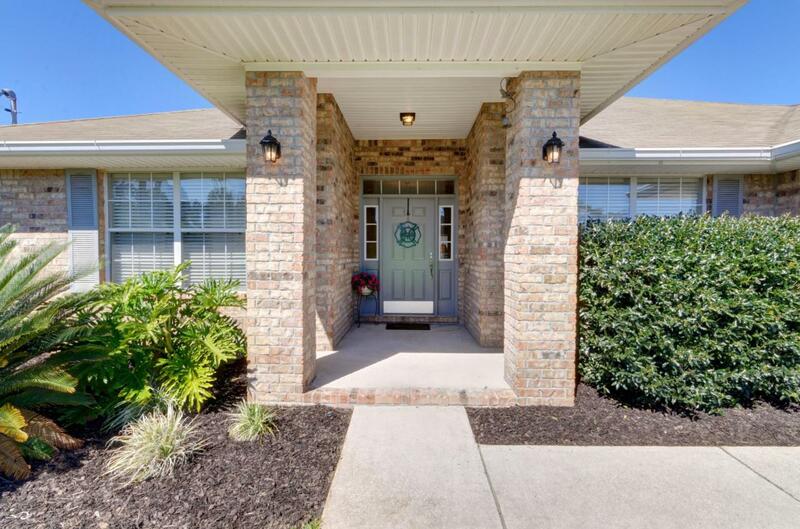 Welcome home to this east Navarre all brick beauty! Located on a cul-de-sac in Hampton Ridge Estates, this updated home features four bedroom, 3 full baths, a formal dining room, and flex room! 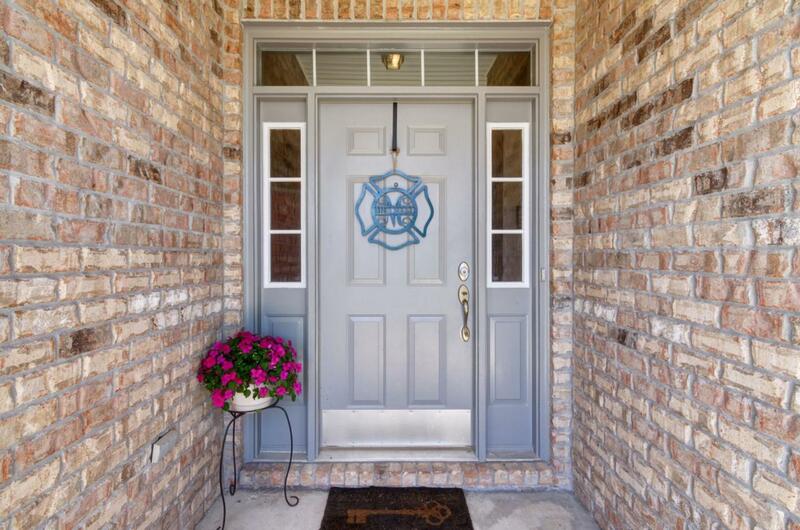 This great floor plan has all the room you've been searching for in almost 2500sqft! Enjoy updated wood look plank flooring as you walk in the door which extends throughout the formal dining room, kitchen, and living room. 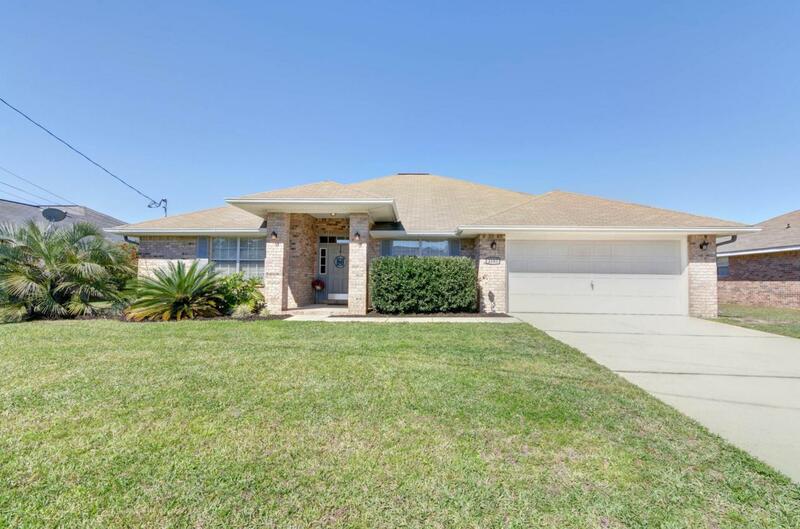 The open and split floor plan boasts an updated kitchen with new black stainless appliances and tasteful backsplash. The spacious master bedroom leads to a one of a kind retreat with not one, but TWO full bathrooms. There's no sharing countertop space here! One bathroom has a standup shower, and the other a soaking tub, each with it's own vanity, walk in closet, and water closet.One of the additional bedrooms is located at the front of the house with french doors, and the other two oversized additional rooms are found on the east side with their own bathroom. 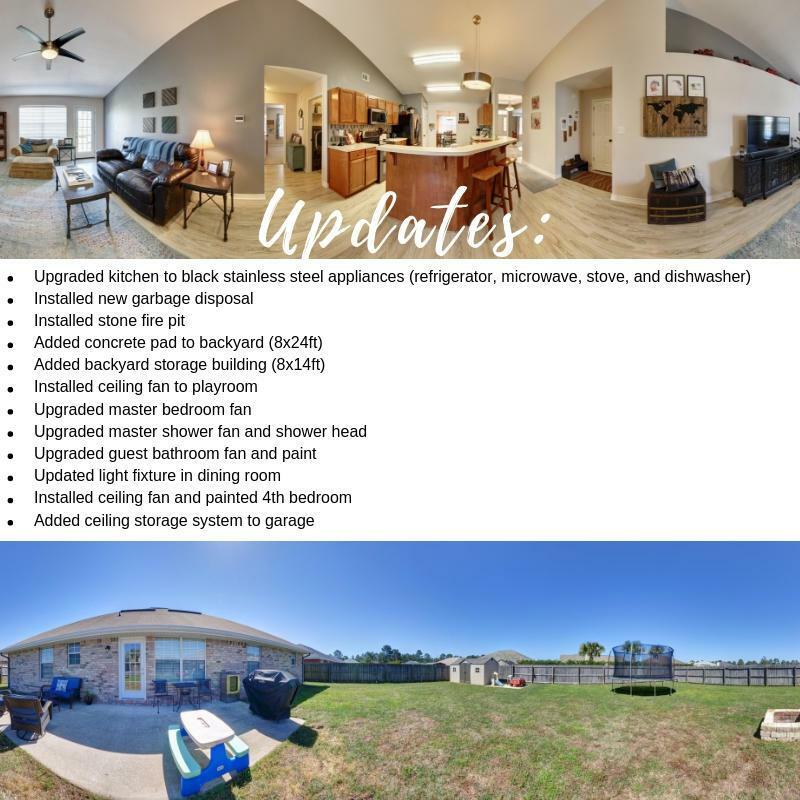 Journey through the living room with vaulted ceilings and find yourself outside in the spacious and fully fenced in backyard and find a fire pit and outside storage building. Have peace of mind with an active and transferrable termite bond through Florida Pest Control! Insurance quote through Carpenters came in at $1058/yr. Start packing those moving boxes, you're home!